The University of Louisville strives to ensure that students’ access to a top-quality education is not limited by financial circumstances. 2 This amount represents a modest budget and actual costs will depend upon your own living style and needs. 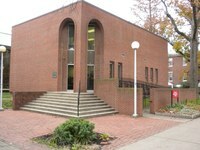 An additional $2,500.00 financial certificate is required for first dependent and $1000.00 for each dependent thereafter for students who wish to be accompanied by spouse and dependents in the U.S.
International students at the University of Louisville are expected to take full responsibility for financing their education. Students who anticipate not being able to meet the cost of education and living expenses are advised to request a deferment of enrollment until adequate funding can be secured. International students are permitted to work up to 20 hours per week on campus while enrolled for full-time coursework. The Career Development Center assists students in finding job opportunities on campus or you can talk with individual departments. Departments which commonly hire international students include REACH, the Library system, and food services.